Christmas comes but once a year, and when it does, it’s only natural that Campus Construction Update’s thoughts would turn to temperature sensors and steam-flow meters. Also, of course, our thoughts go to that olde Bates holiday tradition called “curtailment.” It’s a word that could apply to a lot of things, but at Bates in winter it refers to the energy-saving practice of lowering the heat in buildings that won’t be occupied during the holiday break — which is to say, most of them. 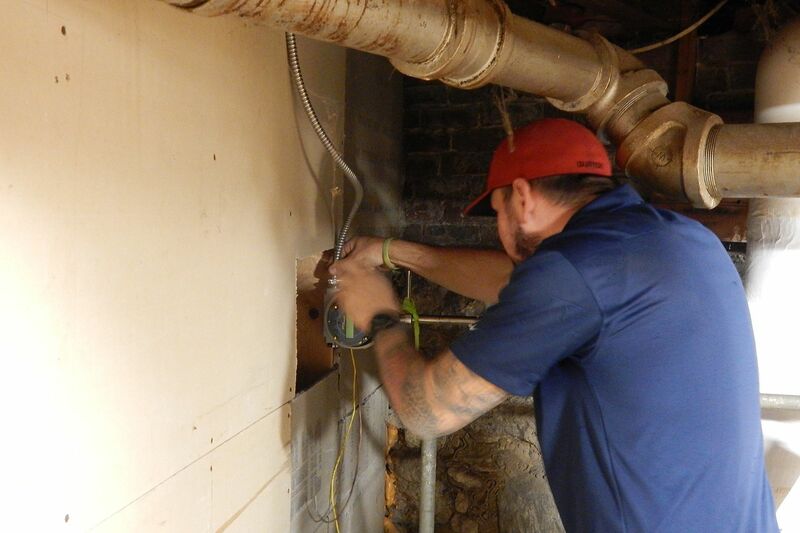 “Historically, we’ve sent two or three mechanics out to manually set back every building,” says John Rasmussen, the college’s energy manager. “That takes three days.” And it takes another three days to turn all those thermostats back up again as the break draws to a close. “So you’re losing six days of energy savings,” Rasmussen says. 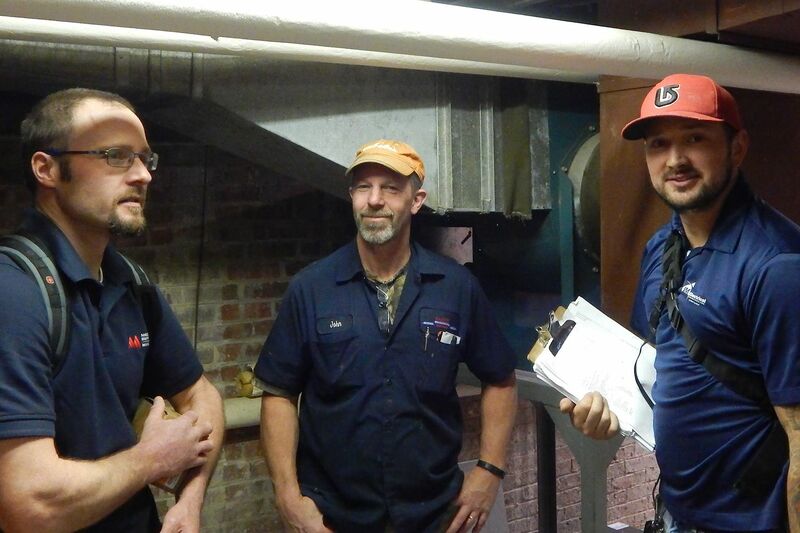 But a new day is dawning for curtailment — and for managing heat generally in buildings across the Bates campus, thanks to a new campus-wide network that centralizes heating system control and performance monitoring through a Facility Services website. 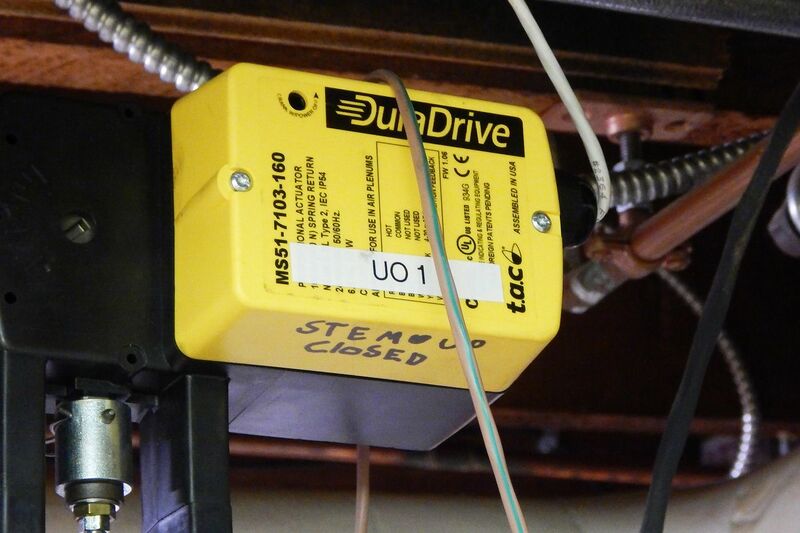 The system allows staff to remotely read conditions and control heat in some 70 Bates buildings, including 52 that received new sensors and controls during a major installation campaign that ended in late November. Most structures in the network are warmed either by the central steam plant or by natural gas; out of the loop are some of the smaller oil-heated wood-framed houses. Several contractors — including Maine Controls of Portland, Damon Mechanical Services of Auburn, and Mountain View Electric of Lewiston — undertook installation of the new hardware. 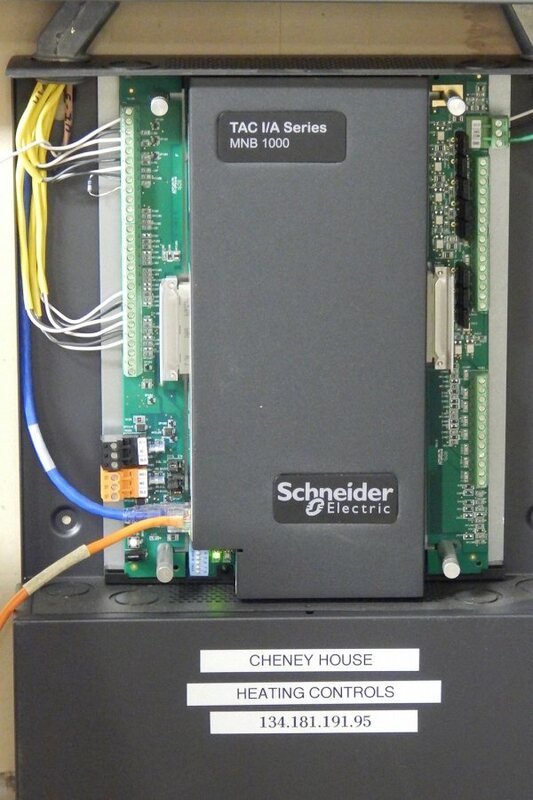 Included were sensors for interior temperatures and heating plant conditions; heating controls; and Maine Controls’ specialty, a computerized terminal in each building that serves as a sort of digital switchboard for data going out and commands coming in. Facility Services’ other partners in the project are more surprising. 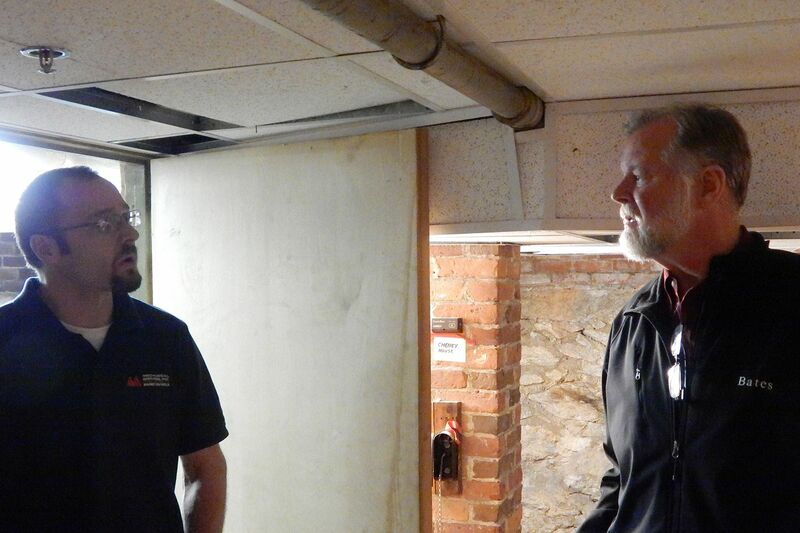 Sustainability Manager Tom Twist has brought Bates into an informal consortium with a few other schools to code an open-source interface to serve as a sort of “universal translator” for different HVAC manufacturers’ proprietary software. And Rasmussen is working with Lecturer in Geology Raj Saha and Saha’s thesis student, Gabe Whitehead ’17, of Shaker Heights, Ohio, who have created a computer modeling program to generate a thermal profile for each campus building from energy consumption, indoor temperature, and outdoor temperature data. Like a good screenplay, the campus-wide system works on so many levels. “Those capabilities of being able to remotely control and remotely sense what’s happening in the buildings is a huge advantage, as well as giving us significant energy and cost savings,” Rasmussen says. The system will save staff time and effort on routine hands-on tasks like curtailment, and will also warn Facility Services about heating equipment problems sooner, perhaps, than building occupants can. But the highest beauty of the new network lies in the scope of the data it will ultimately provide, thanks in part to Saha and Whitehead. This analytical capability “essentially makes the invisible visible to us, and that’s really great,” says Tom Twist, Bates’ sustainability manager. 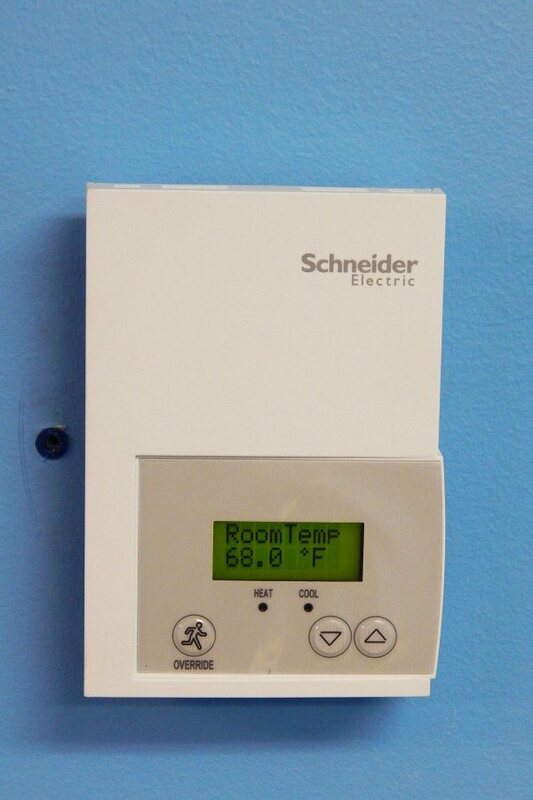 A surprising number of variables can affect a building’s thermal behavior besides the performance of the HVAC system itself: factors like insulation and building envelope performance, solar gain, placement of thermostats, the heat-retaining qualities of radiators, even the hot water that circulates for bathing and washing throughout a large residential hall. And, of course, the residents’ activities. The new system will enable Rasmussen to encourage conservation by giving campus offices an accounting of their energy use over a given period of time. “There have been studies that indicate that when people can see how much energy they’re using, they will respond,” he says. Steam from the central plant at the Cutten Maintenance Center heats 27 Bates buildings totaling 1.1 million square feet. 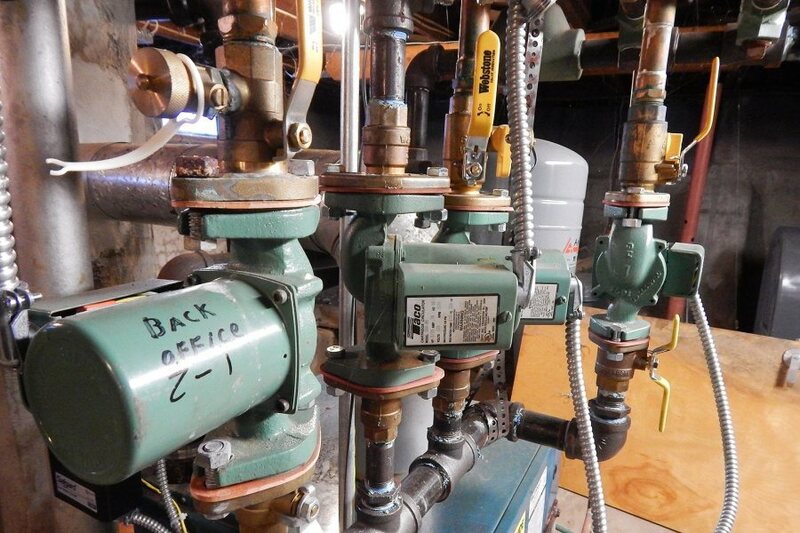 Until now, Rasmussen notes, Bates steam pretty much lived a life of its own once it left the boilers at Cutten Maintenance Center and entered an underground world of concrete vaults and insulated pipes. “We meter the steam leaving the plant,” he says, “but we don’t know where it goes. 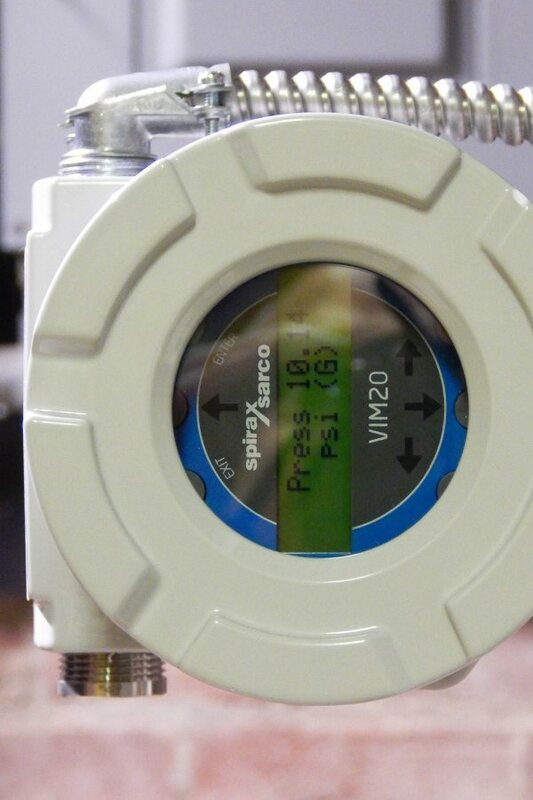 Now we’ll know where it’s going,” thanks to steam management technology made by British manufacturer Spirax Sarco and programmed for the Bates network by JM Electrical of Lynnfield, Mass. A lot of steam heat is wasted due to aging end-point equipment, as well as the lack of monitoring-and-control infrastructure. Some residences have worn pressure regulators and radiator valves that lead to overheating — which student residents try to relieve by opening the windows. Overheating of buildings, Rasmussen says, is a major source of wasted energy at Bates. Twist’s software consortium promises to help with the meta-analytical piece. It will address a problem common to institutions that operate many buildings: a disparate collection of energy-sensing and control units from a variety of manufacturers. Of course, other companies do make the kind of data aggregator that Rasmussen needs — but it costs a lot, into six figures; and it often comes with restrictive licensing or servicing conditions. Speaking of fundage, the bill for the heating control network was roughly $300,000, divided evenly between the monitoring and control installations, Rasmussen says. A grant from the state Efficiency Maine program defrayed $150,000. He adds that this project is part of a series of energy conservation measures that he has led since 2014 — including improvements to insulation, windows, and HVAC controls — and that have cost about $2.5 million. Can we talk? Campus Construction Update welcomes your questions and comments about current, past, and future construction at Bates. Write to dhubley@bates.edu, putting “Campus Construction” in the subject line. Or use the 21st-century commenting system below.